Children rarely break their necks but if they do, they can risk spinal injury or death. 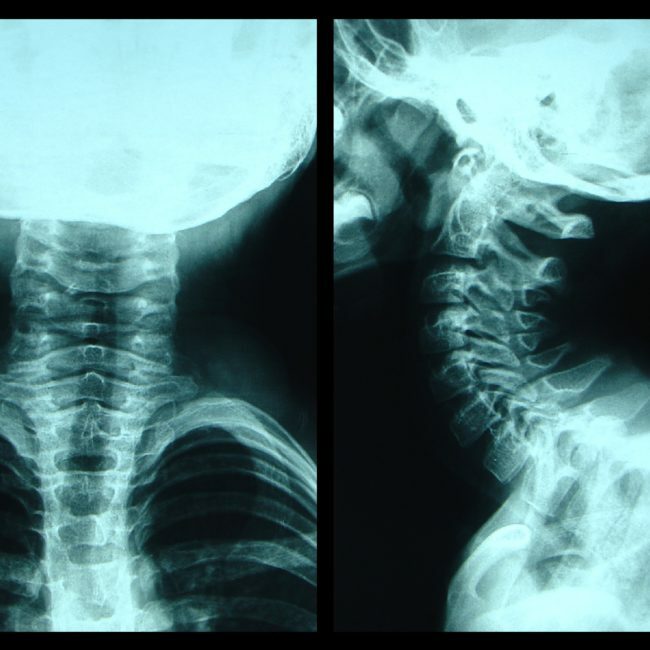 Many more children present for assessment of possible cervical spine (neck) injuries than are subsequently diagnosed with cervical spine injury. The challenge for the emergency doctor is to identify the rare cases without subjecting too many children to unnecessary tests. These tests, x-rays and scans, have risks including exposure to radiation and associated danger of long term cancer development, as well as the possible need for sedation to perform the scan in young children. Awaiting these tests is often a time of prolonged distress for the patient and family as the child needs to be kept lying flat and still without moving their neck. Considerable staff time and Emergency Department costs are associated with these tests. Rules have been proposed to assist doctors in deciding whether tests are needed. This study seeks to look at all children presenting to the ED over a 12 month period for the assessment of possible cervical spine injury to better understand how children are treated in hospital and how further investigation into the use of these rules can be undertaken. Nearly 1100 children were enrolled in this study. While data analysis is still being completed, initial data analysis on the first 300 children recruited to the study was presented at the ACEM ASM in Queenstown, November 2016. The team analysed the clinical characteristics of these children and found the median age was 9.8 years; over 25% were aged under 6 years; 63.4% were male; 61.9% were assessed after falls, 21.2% after motor vehicle related accidents and 32% of presentations were related to specific sports. Nearly 40% had neck pain and tenderness. When the team looked at the rates of rates of imaging and “clinical clearance” among the 300 children presenting with possible CSI, they found: 44% received imaging in the ED: 34.1% had plain x-rays, 15.8% CT scans, and 4.3% MRI scans. A number of children received more than one form of imaging.